A man arrested over the fatal shooting of a pub landlord has been released while inquiries continue. 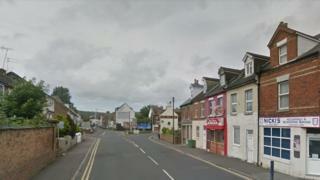 Joe Daniels, 58, died after being found unresponsive inside the Red Cow pub in Foord Road, Folkestone, at about 11:30 GMT on 22 November 2017. He died from a gunshot wound and a firearm was found at the scene, Kent Police said. The man in his 20s had been arrested in Westgate on suspicion of murder and conspiracy to supply firearms. Another 23-year-old man from Canterbury, who was arrested on 31 January 2018 on suspicion of murder, remains under investigation.